The Western States Hockey League will host their 18th annual shootout on the leagues 25th anniversary season. The showcase will be held December 18- 21 2018 at City National Arena located in Las Vegas, NV. City National Arena is home to the Vegas Golden Knights. Each year, the CPJHL sends a couple of teams to compete in the showcase, which is well attended by NCAA scouts and recruiters. 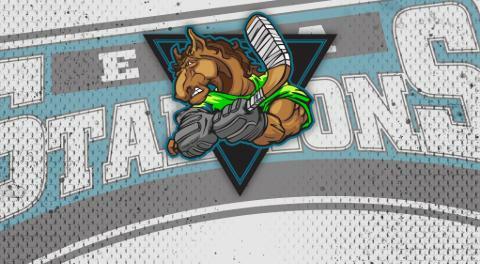 One of the CPJHL's representative teams will be spearheaded by the staff of the Essa Stallions. Stallions Head Coach Sylvain Cloutier has been announced as the bench boss for the event, while Assistant Coach and General Manager of the Stallions David Lang, has been selected for the same roles for the showcase team. "We are very excited to have Sylvain and David behind the bench of one our teams heading to Vegas. They have done an outstanding job in Essa over the past year and a half, and they deserve to represent our league at this opportunity" said CPJHL President Stephane Laveault. "It's an honor to be able to represent the league at an event like this. It's a great experience for the guys. They get to go play hockey in a warm climate, in front of a bunch of NCAA programs. Not everyone gets a chance to do that, or be apart of it. Luckily we do, and I'm looking forward to it" said Cloutier. "I'm appreciative of the role I have been designated for the tournament. We're in the midst of putting together a roster that hopes to be competitive in this event, and represent not only Essa, but the CPJHL as a whole" said GM & Assistant Coach David Lang. The Stallions staff will be joined by Smith Falls Settlers Head Coach & GM Barry Degray to round out the staff of this CPJHL team. Congrats to Clouts & Langer !! !